Follow Payment Instructions on the tabs at the bottom of your tax bill! 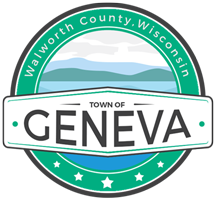 Second Installments are made payable to and sent to the Walworth County Treasurer. CASH: Bring the EXACT amount as ALL REFUNDS WILL BE PAID BY MAILED CHECK. RECEIPTS: Self-addressed, stamped envelope must be included for receipt to be mailed, or can be picked up in Treasurer’s office during regular business hours. Drop Box: Next to back door at the Town Hall, N3496 Como Rd, Lake Geneva, WI. DO NOT DEPOSIT CASH IN THIS BOX! 9:00 a.m. – Noon & 1:00 – 3:00 p.m.
Closed during lunch hour. Use back door for Treasurer’s Office. Payment should be a separate check from tax payment. Proof of rabies vaccination required. Select: Online Services, Treasurer Real Estate & Personal Property Tax Search, agree, choose municipality: Town of Geneva, enter your last name to search (or parcel ID), select your parcel number from the list, click on 2016 which appears right after “Print tax bills:” – Your tax bill should appear and then you can print. Use only black or blue ink on checks. Check and re-check your math. Make sure the written amount of your check matches the numeric amount. Please do not staple checks. Gov Pay is for current taxes ONLY. Delinquent tax has to be paid to the Walworth County Treasurer. They have their own credit card payment system on their website.